Yesterday, we hit another milestone as newlyweds… the big 3! 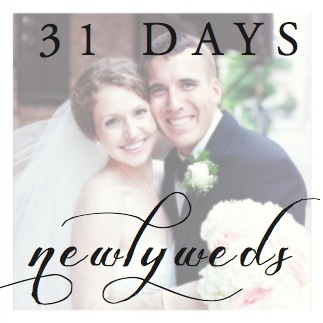 Three MONTHS that is – we have officially been married for a total of 93 days according to our wedding website. It was a sweet time together talking about the usual day to day things, the past few months, and also all of the unknown that lies ahead. It seems like there is quite a bit of uncertainty right now in our life. Where will we be next? Should G start seminary right away? Should I go back to work? With all of these questions that tend to flood my mind, I find alot of comfort in my own daily prayer time with God. But something new I’ve been able to share with G these last few months is praying together as a couple. When we pray together, it not only draws us closer to Him, but it also draws us closer together because we are reminded of our purpose together: to know Him more and to make Him known to others. When we approach our Father together, asking for His will, guidance, and plan to prevail over anything we want for our selves, it reminds me that He knows the path before us and we just need to continue to seek Him. Congratulations on your 3 month “miniversary”! We used to celebrate our monthly milestones too 🙂 My husband & I are actually celebrating our 2 year wedding anniversary today!! I loved your romantic breakfast for dinner set up 🙂 And homemade whipped cream is DELISH!! Sharing in prayer & evening devotions with my husband is also something I truly enjoy! I love that it never fails to bring my husband & I closer together & to the Lord! I am loving your 31 day series (if you couldn’t tell!)! !